We all have to learn to walk before we can run, and sometimes it pays to start simple. 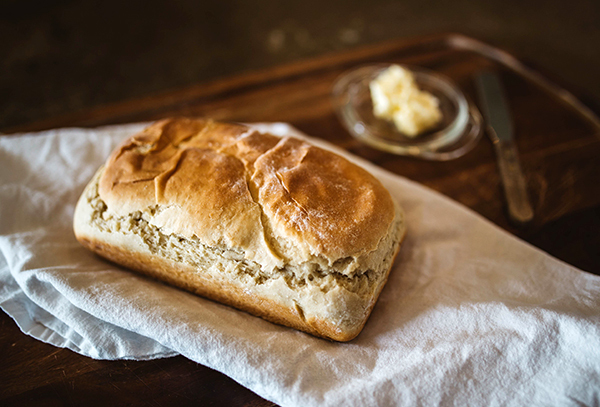 This recipe is for a conventional medium-sized white loaf that can be baked in your bread maker utilising entirely gluten-free ingredients. Use a measuring jug to pour your 300g of milk and pour into a large kitchen bowl, then apply both eggs, your tsp of vinegar and 6tsps of oil. Give this a good beating in the bowl, then pour into the pan of your bread maker. Once in the pan, apply the 450g of flour, 2tbsp of sugar and 1tsp of salt to the existing mix and give it a stir using a wooden spoon. Once mixed up appropriately, sprinkle the yeast on top of the mix and start your bread maker on its standard programming. Let the bread machine run for a few minutes, then open the lid and run a flat kitchen implement such as a spatula down the side of your pan to prevent the mix from sticking. Don’t use your fingers for this! Close the lid and allow your machine to finish mixing and baking a delicious gluten-free loaf.